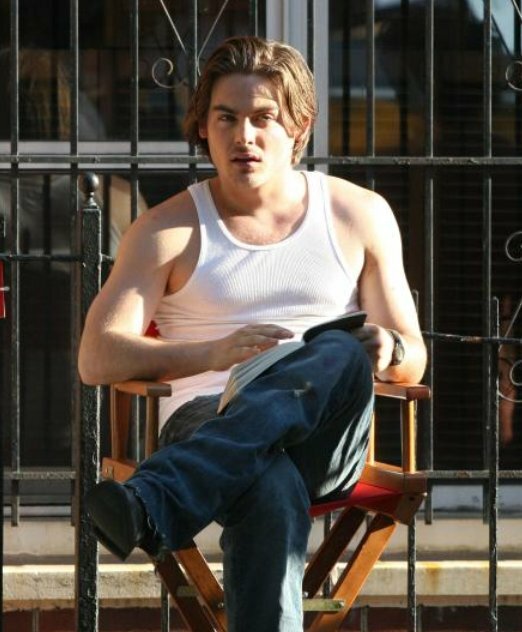 Welcome to The Kevin Zegers Gallery! Kevin is a lifelong athlete as well as an avid weightlifter! Learn why Kevin's muscles are so hot! A 3-part series about the athletic side of Kevin! Part I - A Life In Sports! Part III - Kevin: How Strong Is He?! Summaries of 9 episodes of the Titans TV show (2000) featuring Kevin Zegers as Ethan! Magazine and news articles, plus other bits of trivia about Kevin! Kevin in his own words! Selected quotes taken from interviews! Kevin Zegers, the young Canadian actor, was born Sept 19, 1984 in Woodstock, Ontario. He began his acting career at age 6; his early projects included the film Life with Mikey (1993) and a guest shot in the acclaimed TV series The X-Files (1995). His career got a major boost with his lead role in Air Bud (1997), a film which spawned a successful franchise that continues to this day. Kevin appeared in many Canadian films like Nico the Unicorn (1998) and Four Days (1999) as well as several horror films like Komodo (1999), Wrong Turn (2003), and Dawn of the Dead (2004). In 2005, Kevin's career got another major boost with his lead role in Transamerica (2005) in which he played a young street hustler. In 2006, Kevin was awarded the Chopard Trophy at the Cannes Film Festival for his work in Transamerica (2005). Kevin married Jaime Feld, an agent, in August 2013. Kevin's recent work has included lead roles in the TV miniseries Titanic: Blood and Steel (2012) and Gracepoint (2014), and the film The Mortal Instruments: City of Bones (2013).